Broadcast Hysteria hits bookstores on May 5, 2015 – one day before Orson Welles’s 100th birthday. By any measure, Orson Welles’s War of the Worlds broadcast is the most significant radio show in history. But is it the best? If you asked Welles, he would tell you that “the greatest single radio script ever written” is Lucille Fletcher‘s Sorry, Wrong Number, produced several times with Agnes Moorehead in the leading role. The play tells of a bedridden woman who can only interact with the outside world via her telephone. After she overhears two criminals plotting to kill her on her phone line, she tries to convince the authorities that she’s in danger. But no one believes her – until it’s too late. Although Sorry, Wrong Number is easily among the best radio shows of all time, to my mind the top honors go to another of Fletcher’s radio plays: The Hitch-Hiker. This play first aired in 1941 on CBS’s Orson Welles Show, with Welles in the lead role, and later on Suspense and The Mercury Summer Theatre of the Air, each time starring Welles. Fletcher was married to composer Bernard Herrmann, who wrote and conducted the music for Welles’s Mercury Theatre on the Air series (including the War of the Worlds broadcast), and so she knew Welles’s radio work very well. She wrote the lead in The Hitch-Hiker expressly for Welles, and it shows; the play is easily among his greatest performances in any medium. Welles narrates The Hitch-Hiker in character as Ronald Adams, a 36-year-old man driving from New York to Los Angeles. First on the Brooklyn Bridge, and then on the Pulaski Skyway (crossed by the Martian invaders in War of the Worlds), Adams sees the same hitchhiker by the side of the road: a shabbily-dressed tramp, sprinkled with raindrops, carrying a suitcase. As Adams heads further and further west, he sees the exact same hitchhiker over and over again. He grows increasingly disturbed and unhinged, unable to stop the car for fear of meeting the mysterious tramp. Although it is an original story, The Hitch-Hiker follows the “first person singular” format of Welles’s Mercury Theatre broadcasts. Welles believed that radio was a narrative, and not a dramatic, form, which worked best when a storyteller guides the listener through the action like in a novel or short story. The Hitch-Hiker perfectly demonstrates the power of this technique. Although there’s nothing overtly threatening about the hitchhiker that Adams sees over and over again, Fletcher’s narration beautifully conveys the character’s growing anxiety and desperation, and Welles’s performance keeps the listener on edge. Herrmann’s delightfully creepy musical score adds immeasurably to the effect. For all these reasons, The Hitch-Hiker marks a pinnacle for the craft of radio drama. The show builds to a shocking twist ending that I won’t spoil here, but the surprise really isn’t essential to the experience. Even when you know where it’s headed, the various elements are woven together so beautifully that you remain thoroughly in suspense, and the foreshadowing and dramatic irony that Fletcher seeded into the story become even more apparent. This makes it a joy to listen to again and again. Whenever I have a long car ride ahead of me, there’s nothing that passes the time like popping in a recording of The Hitch-Hiker. In 1960, Rod Serling adapted The Hitch-Hiker for an episode of The Twilight Zone. The show is a faithful, and at times word-for-word, translation of the play, but Serling made the main character a woman (“Nan Adams”) and about a decade younger than the character Welles played. According to Marc Scott Zicree’s The Twilight Zone Companion, Fletcher didn’t approve of the change, but it does add an new dynamic to the story. The scene between the driver and a hitchhiker s/he picks up, seeking protection from the mysterious tramp, has added tension in Serling’s version because the hitchhiker is a young man and the driver a young woman. Actress Inger Stevens, playing Nan Adams, turns in a fine performance, but never eclipses Orson Welles. At times, Serling’s version of The Hitch-Hiker is brilliant. Leonard Strong, who plays the title character, succeeds in being both unthreatening yet strangely menacing, and he has a startling habit of popping into the frame when least expected. 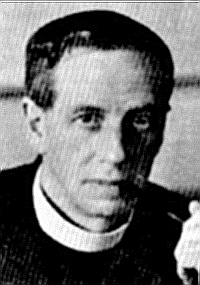 But the translation from radio to television is somewhat uneven, because the story is so dependent on Fletcher’s narration. That narration works well on radio, but feels intrusive on TV. Yet it’s unavoidable, since the main character spends most of the story alone in a car, and there’s no way to convey her thoughts visually. In the end, this doesn’t harm the show too much, and it remains a very good episode of an excellent TV series. But the radio play surpasses it entirely because it’s perfectly suited to its own medium. Lucille Fletcher’s Hitch-Hiker, then, isn’t just an example of some of radio’s best artists at the top of their game. It’s a story uniquely tied to the medium it sprang from, demonstrating the storytelling powers of radio more effectively than any other show I can name. For that reason, above all, it gets my vote for the greatest radio show of all time. 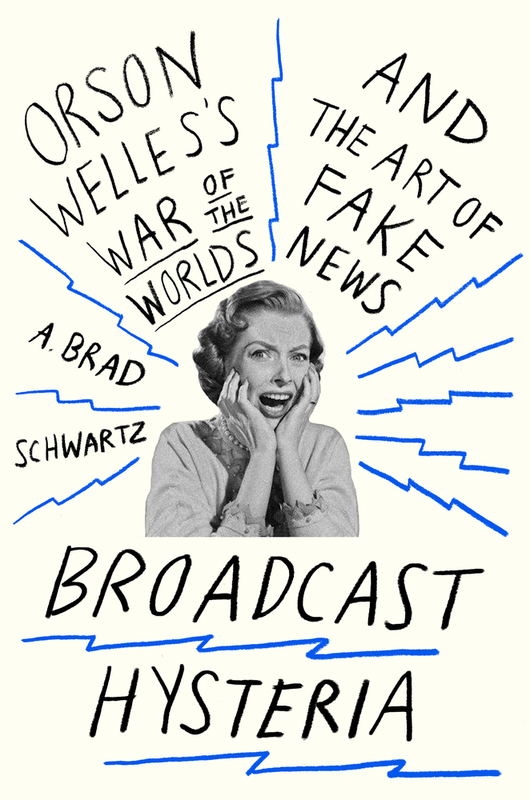 It’s Christmas Eve as I write this, and I’m pleased to report that my first gift has already arrived: the cover image for my upcoming book Broadcast Hysteria: Orson Welles’s War of the Worlds and the Art of Fake News is now up on Macmillan’s website! My most profound thanks to the graphic designers at Farrar, Straus & Giroux for putting together this exciting and arresting image, and to everyone at FSG for being such a joy to work with this past year. A lot of hard but very rewarding work went into this project in 2014, and I can’t wait to share the fruits of all that labor with the world in 2015.